Researchers at La Trobe University in Victoria are preparing to trial a 12-person driverless shuttle bus at the university's Bundoora campus. 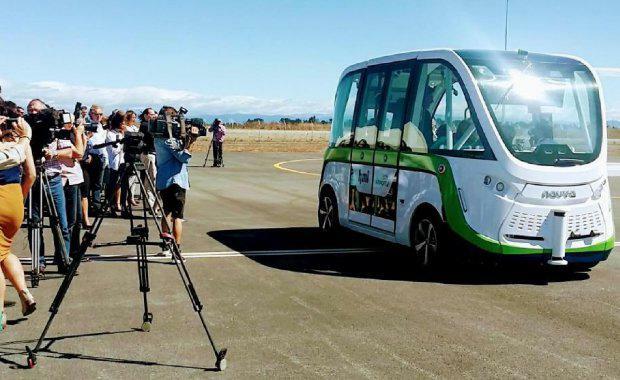 The “Autonobus” -- autonomous bus -- will be the first of its kind in Victoria. La Trobe University will collaborate with VicRoads founding partner, Keolis Downer, as well as HMI, RACV and ARRB throughout the project. The autonobus trial will operate on La Trobe University’s Bandoora campus in Melbourne’s north until July 2018. The driverless bus travels on an existing transport route shuttling from public transport interchanges and carparks to popular destinations. Chief executive of HMI technology Dean Zabrieszach said members of the public would have the opportunity to test the bus first-hand from April 2018. Victoria joins the autonomous bus race along with similar projects that have been trialled in Western Australia and Sydney Olympic Park. A recent trial of a driverless bus in Las Vegas ended in disaster after it was involved in a small crash less than two hours after making its debut. The Victorian government has invested $375,000 through the government's Smarter Journeys Programme to conduct the trail of autonomous vehicles in Victoria. Minister for Roads and Road Safety Luke Donnellan hopes the project will bring Victoria to the forefront of automated vehicle technology. “Automated vehicles will revolutionise how we move around our communities, that’s why we’re investing in trials that explore ways technology can be used to reduce congestion and keep people safe on our roads,” Donnellan said. The Autonobus is fitted with advanced sensor systems to detect and track objects with speed and precision and has undergone rigorous testing before taking on passengers. The trial will bring a more broad understanding of the technology and the way driverless vehicles interact with passenger demand and existing transport options. The university will trial the new driverless technology at its Bundoora campus from April.